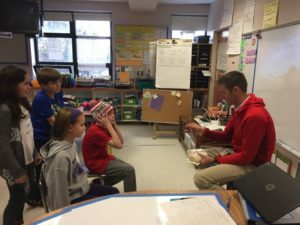 Kyle Wilson teaches 4th grade math at Steere Farm Elementary School in Burrillville. Each day, Kyle works with multiple student sections to deliver math content. We visited him during his mid-morning session, right between art class and lunch, a hectic part of any teacher’s schedule! 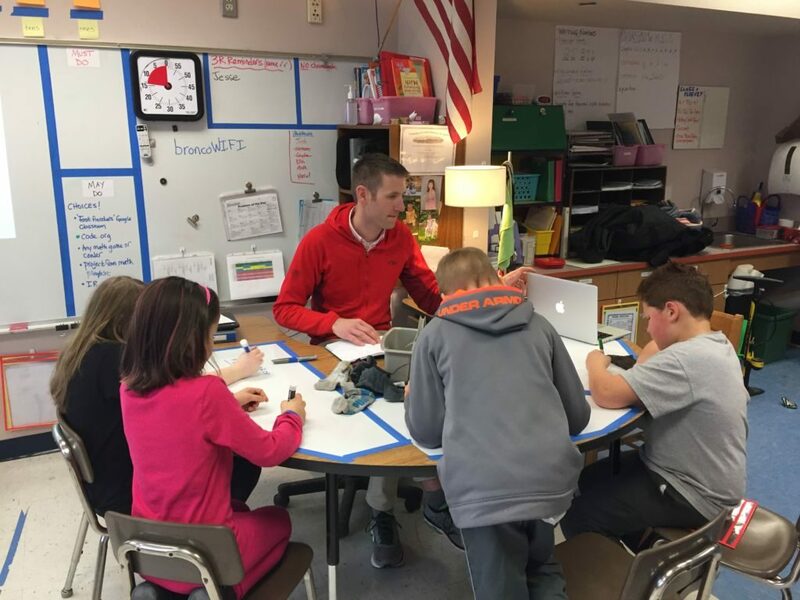 The students jumped right into their stations, working either directly with Kyle for small group instruction, problem-solving with Tinkercad, or creating presentations involving their favorite numbers and associated characteristics. 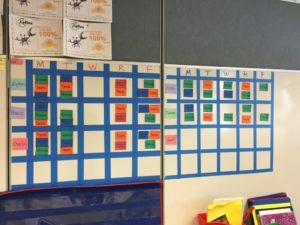 The transition to assigned activities required almost no verbal direction from Kyle, as students were already incredibly aware of classroom procedures and expectations. Brightly colored activity trackers and grouping cues were posted around the room, and students were eager to talk me through the routine. In chatting with us, Kyle mentioned that he recently re-embraced the practice of making his own content videos. He uses Explain Everything and a new template he created to organize the video format in a clear way. This template included prompts like “What am I going to learn?” and spaces for both model and practice problems. Because of this consistency, Kyle is now able to encourage students to take the lead in developing their own videos. 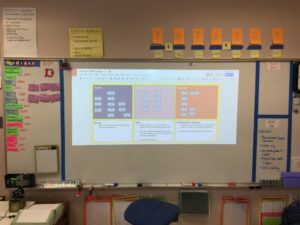 With their notebooks in hand and an iPad on his classroom tripod, you’ll often find students recording their explanations either independently or in small groups. Next semester, Kyle hopes to leverage this growing video library in a playlist format for students to work through at their own pace. During our visit, students were trying out the Tinkercad website for only the second time. 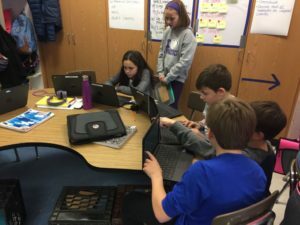 They were able to work their way independently through the introductory tutorials, focusing on skills like rotation, layering, and grouping different shapes to build 3D prototypes. 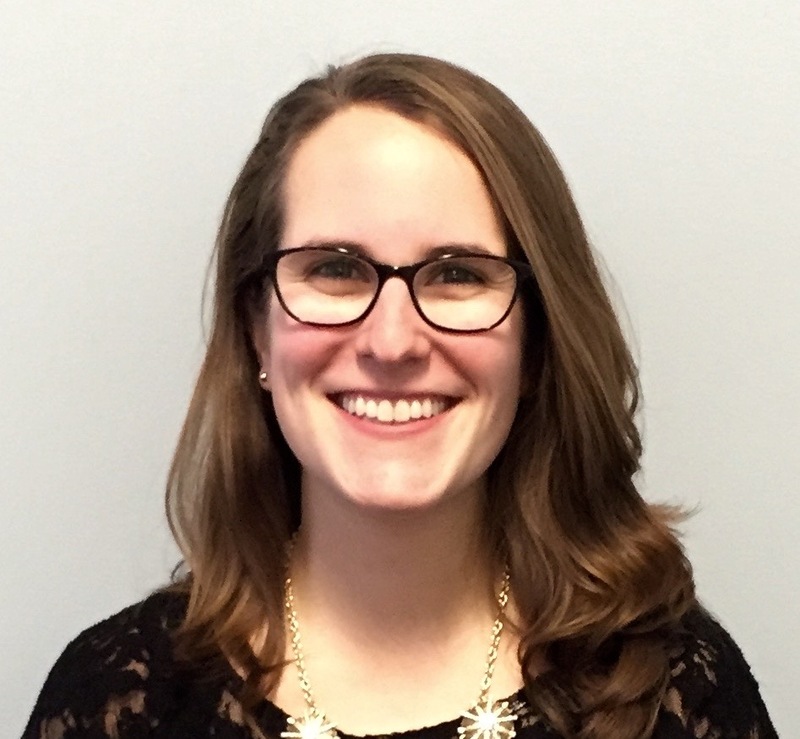 While some students found the lack of explicit instruction from their teacher a bit challenging, it was clear that others were relishing the opportunity to figure things out on their own. Kyle is eager to include more creation activities like this as the new year progresses. He’s continuously iterating on his classroom model and reflecting on the successes and challenges in a thoughtful way.